On January 10, 1776, at the dawn of the American Revolution,Thomas Paine first published his famous pamphlet, Common Sense. This treatise was designed to provide American colonists with an argument for freedom from British rule. Paine’s essay came at a time when the very notions of liberty and freedom, the right to self-govern, and independence were still relatively new and undecided. His goal was to keep his argument simple, and as a result, it was highly effective. Despite the best efforts of our Founding Fathers, we find ourselves living in an era in which government oppression and usurpation of our liberty and freedom are as real today as they were at thetime Paine wrote Common Sense. Whether by design or byc hance, the consolidation of power given or taken by the federal government has stripped millions of Americans of many of their most basic liberties—the liberties upon which our nation was founded and for which many patriots have given their lives to protect. 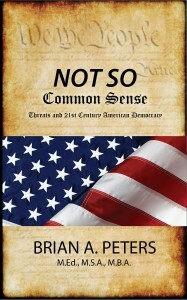 Author Brian A. Peters sadly believes that the idea of freedom and liberty are lost on many Americans today, hence the title Not So Common Sense. Many have been content trading their liberty fora false sense of security, which modern-era government officials have promised but FAILED to provide. 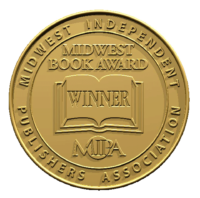 This book offers a brief historical perspective, a summary of the current American state of affairs,and a few simple suggestions for changing the course back to liberty, justice, and the pursuit of happiness.